We've all been eagerly awaiting the release of the prepaid and postpaid prices of phone networks in the Philippines and it looks like SMART wins in this category. An ABSCBN article also came out this evening indicating the post paid and prepaid prices for these smartphone units. Globe offers the iPhone6 16 Gig at Php 2,099 per month and the 16 Gig iPhone 6 Plus is offered at Php 2,299 per month; all under Globe Plan 1299. You will be locked in also for a period of 24 months to avail of this. Phone units on prepaid plans cost Php 37,500, Php 43,000 and Php 48,500 respectively. Smart is offering the phones at really great price points. 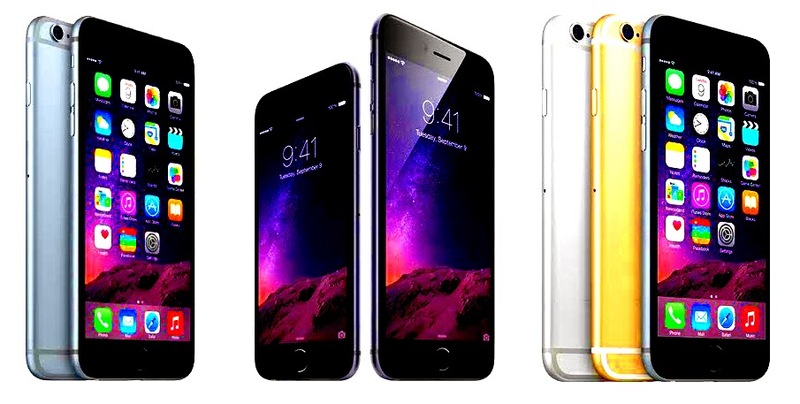 The iPhone6 is available for Smart's Monthly plan of Php 1,799 for 16 Gig, Php 2,049 for 64 Gig and Php 2,153 128 Gig. Their iPhone 6 Plus on the other hand only cost Php 2,049 on the 16 Gig, Php 2,153 on 64Gig and Php 2,345 for the biggest one 128Gig. Prepaid phone unit prices show Smart wins too. You can avail of the iPhone Plan 999 for a 2 year contract. Win! 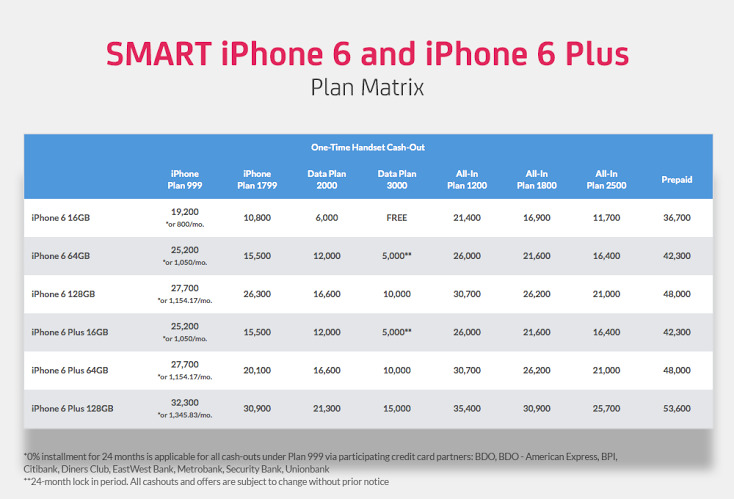 The iPhone 6 and iPhone 6 Plus is also available on the Smart Wipeout plan. Check out their prices and compare. If you go to a Smart Store near you, Smart will also take care of your ride. Just book a ride with UBER and enter the promo code SMARTIPHONE6 so you can get the ride without any cost. You'll get a special lane too just for the iPhone 6 when you enter the SMART stores. You can also choose your own post paid number (if available). Aside from that, you can also watch movies with BLINK as perks for the sale. See what I mean? Oh and yes! You can pre-order it! Visit http://store.smart.com.ph to pre order now! Make sure you get the best deals and the better network!